The current EOS-1D X camera has been my pick as the best full frame DSLR camera for sports and wildlife photography three years in a row. According to the latest information I have received, the long awaited EOS-1D X Mark II model will most probably be equipped with 4K video. The expected delivery date will be end of Q1, 2016. Should one wait for the new model or buy the current camera? I expect the replacement model to be priced just below $7,000. Of course, not everyone needs and wants the latest and greatest equipment. The current EOS-1D X is an excellent camera and during Halloween, the factory refurbished camera is selling for $3,603 at the Canon Store (save 15% by using coupon code JACKOLANTERN when checking out) and comes with one year warranty from Canon. As my readers know, I do not accept any ads or commission from any company and I am NOT endorsing the Canon Store but before you recoil at buying refurbished equipment, read my earlier post on buying and selling used gear. This is more of a treat than a trick for those who want to trade up to the top-of-the-line full frame camera. You can see my equipment bag and works on MichaelDanielHo.com. I am off to the Canadian sub Arctic, Hudson Bay for a Polar bear photo tour. Although this region is called the sub Arctic, the temperatures are generally even colder than the high Arctic, like Svalbard. The cold winds from the North Pole can bring temperatures down to -40+ degrees Fahrenheit starting in mid Autumn and lasting through late Winter. 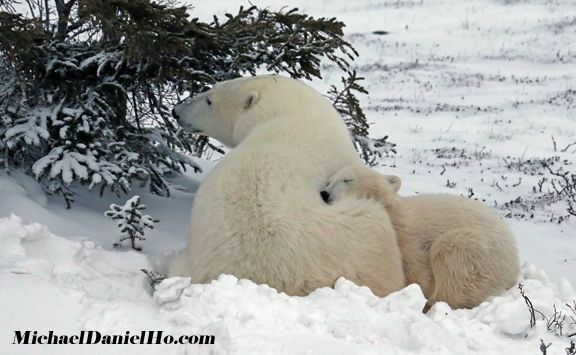 There are five countries with Polar bear populations - U.S.A., Russia, Denmark (Greenland), Norway (Svalbard) and Canada. Polar bears are found throughout the circumpolar Arctic on ice-covered waters, from Canada, to Norway, parts of the US, the former USSR and Greenland. The furthest south the Polar bears occur all year round is James Bay in Canada, which is about the same latitude as London, England. During the winter, when the ice extends further south, Polar bears move as far south as Newfoundland and into the northern Bering Sea. Although Polar bears have no natural predators, male bears sometimes kill young cubs for food or to try and mate with their mothers. Sadly, Polar bears are still being hunted on a quota system by indigenous people and sometime big game hunters. Another big threat to these endangered animals is the warming of the Arctic region and pack ice are forming later and later every year. Polar bears depend on the pack ice to hunt seals and the early ice melt is forcing them to spend more time and energy looking for food and finding fewer seals. They face an uncertain future as the sea ice melt faster and faster in the summer. Photographing Polar bears is one of the most exciting thing a wildlife photographer can do. They have little fear of man and are highly curious. I have come face too face with them and they are large, powerful apex predators. 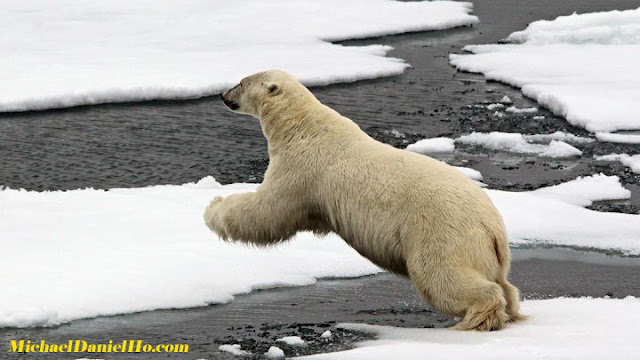 Click here to see Polar bear photos from my previous tours. You can follow my travels on Facebook , Twitter and Instagram and see my works on MichaelDanielHo.com. I will be providing updates on the tour as time and condition permit. As reported yesterday, Canon's Inc. third quarter profits were less than stellar. This morning, the rumor mills are buzzing about Canon working on a full frame mirrorless camera. Hardly an earth-shattering news and this is what I have called for in the past. There are no specific time frame on this but Canon must not wait too long and get serious about this 'new' segment of the market. The mirrorless space is growing and Canon is already behind some of their competitors. The new camera must do away with any adapter and comes with the EF mount. Bring out a prosumer and professional mirrorless camera with similar features, functions, size and shape to the current full sized DSLRs and they will leap frog their competitors like Sony and Leica. 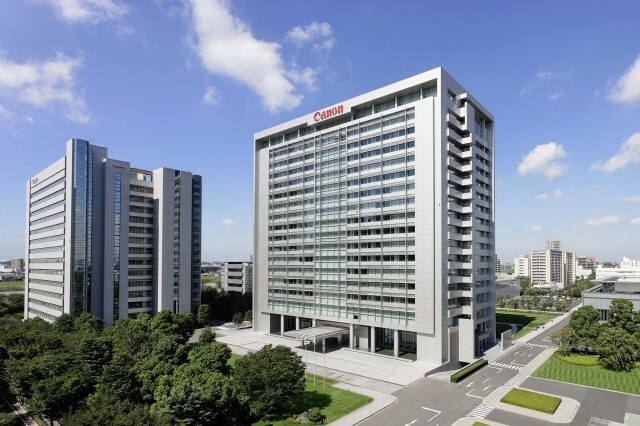 Canon Inc. reported lower 3rd quarter profits for 2015 but raised its full year forecast due to the 'strong' US Dollar and 'weak' Japanese Yen. Going forward, the United States is expected to increase its interest rates in 2016, thereby pushing the Yen even lower and giving Canon's 2016 profit a potential further boost. The DSLR camera segment is a matured business even though this is where Canon and many other camera makers make most of their profits. There is little Canon can do to stem the gradual loss of market share of the low end cameras to higher end smartphones. 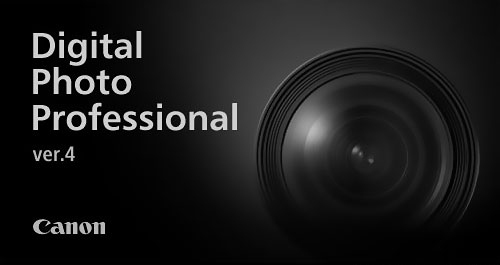 They need to concentrate on their strength and make the DSLR camera experience as enjoyable as possible for serious and professional photographers. To that end, Canon should seriously consider introducing a prosumer to professional mirrorless camera with the same size and shape of their higher end DSLRs. The mirrorless market is here to stay and growing. The current EOS-M line is boring, brings little profit and is highly discounted. TOKYO, Oct 27 (Reuters) - Japan's Canon Inc said quarterly operating profit fell by a fifth as demand for digital cameras slumped and it spent more on developing new businesses, but it nudged up its full-year earnings estimates on a sharply weaker yen. Operating profit for the July-September quarter came in at 71.8 billion yen ($665 million), not far off figures flagged by the Nikkei business daily earlier this month. Investments to boost businesses such as video surveillance and semiconductor steppers also helped to outweigh a 11.4 billion yen contribution from a weaker yen, a company spokesman said. Revenue fell 4.5 percent to 872.2 billion yen. The export-reliant company lifted its operating profit forecast but it acknowledged that but for the weaker yen, it would have revised down. It now expects 370 billion yen for the year to end December, up from a prior prediction of 365 billion yen and a 9.7 percent increase on the previous year. While a softer yen boosts earnings for export-oriented companies, the Japanese currency's rapid descent against the greenback - around 8 percent over the July-September period - has driven up import costs and prompted complaints from Japan Inc that yen weakness has gone far enough. "It's difficult to give an ideal level but if it stopped at its current level it wouldn't be a bad thing," said Chief Financial Officer Toshizo Tanaka. Japan's currency is trading at around 108 yen to the dollar after having weakened to as low as 110 yen at the beginning of this month. A Reuters Corporate Survey showed in September that only one quarter of Japanese firms preferred an exchange rate of 105 yen or weaker. For the photographer who prefers to travel light and take mostly landscape/nature/portrait/wedding photos and videos, the Sony a7II R is a good choice. As a wildlife photographer, neither the Canon EOS-5Ds nor the Sony a7R II camera is a good alternative for wildlife photography, in my opinion. I am waiting for the EOS-1D X Mk II and EOS-5D Mk IV to debut later this year or early next year for my next DSLR purchase. There is a rumor floating around today that said Canon is evaluating another company's full frame sensor against their own and perhaps even consider getting out of the sensor business. My answer to the first part of the speculation is, why would that constitute photography news? Tell me something I don't know. The answer to the second part is, absolute rubbish. Almost all big manufacturing companies, like the automotive industry for instance, evaluate their competitors' products, to see if they are ahead or behind, and perhaps seek areas of co-operation and possible joint ventures to cut down on costs. The full frame sensor company in question here is, of course, Sony. 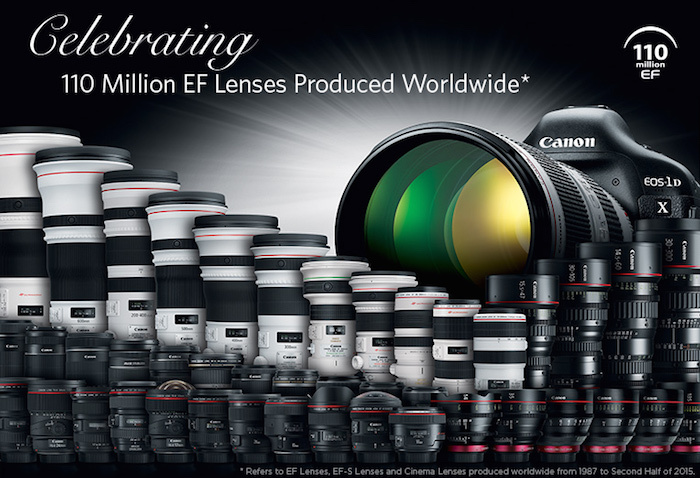 They are the only other company with the engineering resources and manufacturing expertise to interest Canon. It will not be a earth-shattering event for Canon to use another company's sensor on their lower end cameras like the Rebel or Powershot models, like they did with the Powershot G7X. 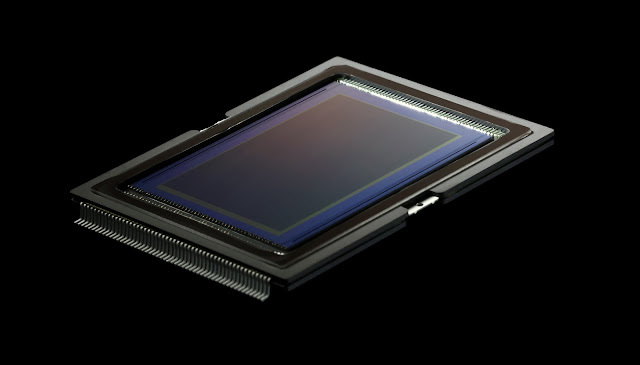 And yes, Canon will be in the sensor manufacturing business for a long time to come. Just look at what they have announced recently at the Canon Expo 2015 show, among them, a 250MP sensor. 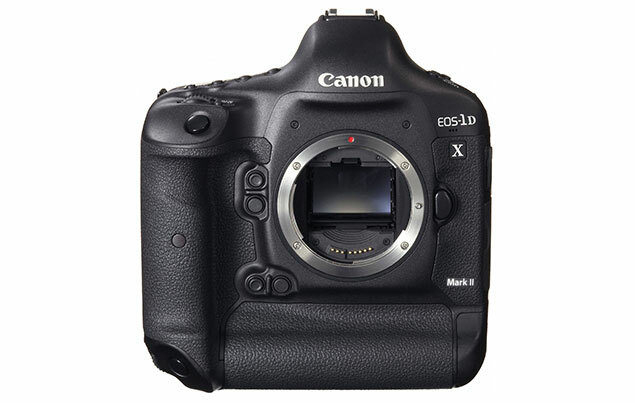 The upcoming EOS-1D X Mark II and EOS-5D Mark IV cameras will have new Canon sensors on them. Zeiss is known as the third party lens maker that charges 'an arm and a leg' for those who want to own German glass. The recent announcement of the Sigma 20mm f/1.4 Art lens and their other offerings in the line in the past couple of years have many photographers sit up and take notice of this Japanese lens manufacturer. Zeiss recently introduced a 'lower priced' Milvus line of lens to try and blunt the appeal of the Sigma Art line. Sigma will build on their recent success and continue to introduce more Art lens in 2016. This will certainly coincide with the big German trade show Photokina next year. Among the sought after Art lens will be the 85mm f/1.4, 24-70mm f/2.8 OS and the 70-200mm f/2.8 OS Sport. All told, Sigma may be working on about 10 new Art lens, including wide angle primes and Super Telephoto models and will announce more models in the next 12 to 18 months. There is no plan to replace the Sigma 200-500mm f/2.8 lens, which is mostly a conversational piece of glass. The company that should be most worried is Zeiss. Canon is already readying their venerable EF 70-200mm f/2.8L IS III model for a 2016 announcement. Their Series II Super Telephoto lens lineup is in good shape, except for the replacement of the EF 800mm f/5.6L IS, which may be announced some time next year. The recently featured prototype EF 600mm f/4 DO BR lens during the Canon Expo 2015 will be the most anticipated lens for me in 2016 if they decide to release it. 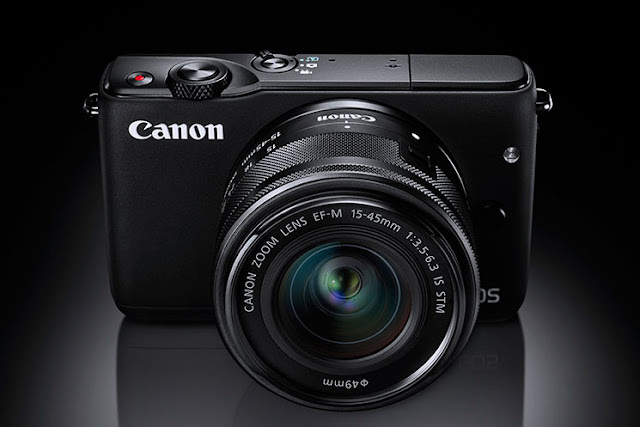 The EOS M10 camera was announced on October 13, 2015. The camera is scheduled to be available through authorized Canon dealers in November 2015, and will be offered in a kit with the EF-M 15-45mm f/3.5-6.3 IS STM zoom lens at an estimated retail price of $599.99. The camera body is available in black or white, and will also be available in gray exclusively through the Canon Online store at http://shop.usa.canon.com. The EOS-M line of camera sells very well in Asia, primarily to women. The Canon video below plays to that theme again with the new EOS-M10. Canon has released an update to their photo editing software. It includes support for the latest lenses and cameras. Click here to access the Canon website and download the software. Supports vertical image playback for vertical movies. 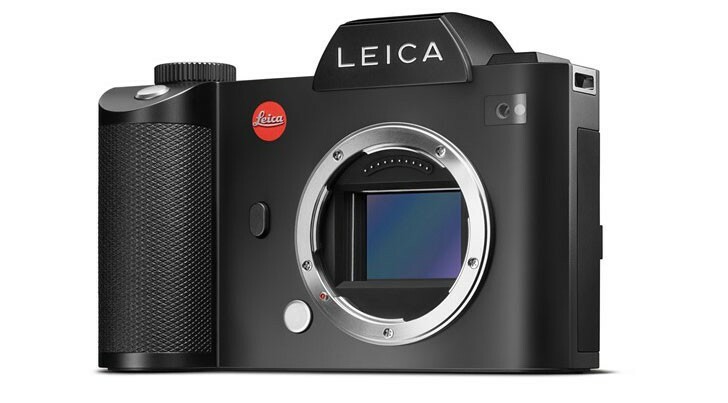 Leica announced the 24MP SL mirrorless camera recently at a whopping price of $7,500, body only. My readers know I am not a fan of the current mirrorless camera designs. I can find no compelling reason to own one. Among the reasons, all the mirrorless cameras do not feel right in my hands, including the recently announced, 'highly acclaimed' Sony a7R II. They are too small and the ergonomics are all wrong for me. Now Leica has decided to do something different, by making the new SL similar in shape to a full sized DSLR, like the Canon EOS-5DsR, replete with the hand grip on the right side of the camera. In the future, if Canon decides to introduce a mirrorless camera for professional photographers and retain a similar size and shape to their present DSLR cameras, I might take a second look. However, how many photographers will seriously forego the soon-to-be-released EOS-1D X Mark II and EOS-5D Mark IV cameras in favor of the Leica SL? Did Leica not learn a lesson from Zeiss? Are Zeiss lens really worth that much more than say, Sigma Art lens? Is the recently announced, 'lower priced' Milvus line of lens going to help Zeiss beat back the challenge from Sigma and others? MELVILLE, N.Y., October 21, 2015 – Canon U.S.A., Inc., a leader in digital imaging solutions, will be showcasing its latest in high-quality imaging products for photographers of all skill levels in addition to hosting educational seminars and professional photographer print signings at PhotoPlus Expo 2015 in the Jacob K. Javits Convention Center in New York City, October, 22 – 24, 2015, in booth #121. On display, and announced just today, will be Canon’s new imagePROGRAF PRO-1000 Professional Inkjet Printer. 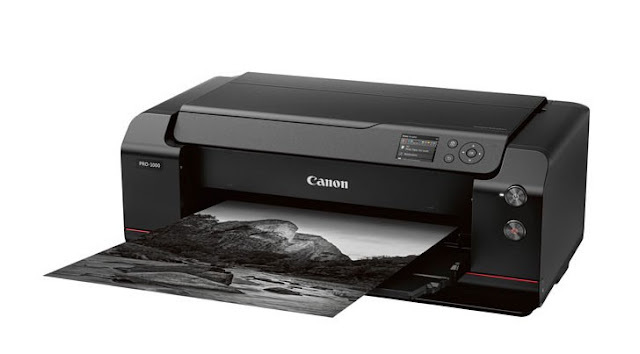 This new printer complements Canon’s professional line of EOS DSLR cameras and lenses for an ideal pairing that will produce high-detail, high-quality prints on a variety of media. This 17-inch, large format solution packs significant technological advancements, including a new print head, new ink and a new image processing engine. Canon will be hosting one free limited edition print signing each day of the show, where the first 100 attendees will be able to take home a beautiful signed image, printed on the imagePROGRAF PRO- 1000, from a Canon Explorer of Light (EOL). Signings will take place at 2:30 p.m. on Thursday (Ken Sklute) and Friday (Joel Grimes), and at 1:00 p.m. on Saturday (Lindsay Adler). EOS M10 Digital Camera : Outfitted with a new, retractable EF-M 15-45mm f/3.5-6.3 IS STM lens, the EOS M10 is a compact and stylish digital camera that helps photographers expand their creativity. The camera is equipped with Wi-Fi® and NFC capability, making it easy to share high-quality photos and videos on- the-go via most current Android®1 and iOS®2 devices. PowerShot G5 X and PowerShot G9 X Digital Cameras : These two new large sensor digital camera models are ideal for advanced amateur photographers looking for a highly portable, advanced point-and-shoot camera. Both models are equipped with a one-inch, 20.2 Megapixel3High-Sensitivity CMOS sensor and feature Wi-Fi and NFC capabilities, allowing users to easily print or share images and videos. The PowerShot G5 X camera is housed in a classic black body and is equipped with a built-in, high-resolution electronic viewfinder. 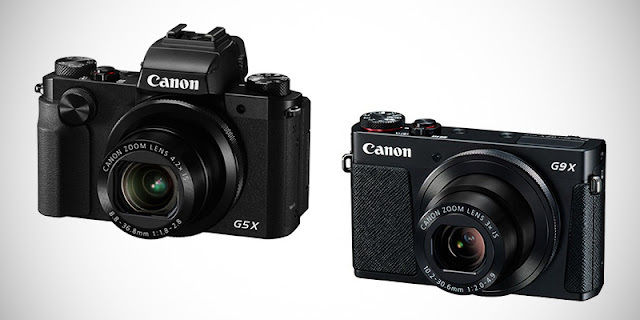 The slim, lightweight PowerShot G9 X camera is easy to carry anywhere, and in addition to being available in classic black, also comes in a retro-style, silver-gray body with brown-stitched leather accents. To showcase the vivid, realistic imagery that Canon products can create there will be a 20 billion pixel at 200 dpi panorama of Yankee Stadium taken by EOL David Bergman, created with the 50.6 megapixel EOS 5DS R camera. At over 20-feet long, the image consists of 825 separate photographs stitched together. Enhancing the user experience with imagePROGRAF PRO-1000 printer is the intuitive software solution of Print Studio Pro v 2.0. With a focus on quality and ease of use, Print Studio Pro is a plugin for Adobe® Photoshop®, Adobe Lightroom® and Canon Digital Photo Professional software that easily exports files directly to the printer.1 With 16-bit processing capabilities, fine details are dramatically improved, gradations are smooth and a highly accurate reproduction of the original captured image can be reproduced. Also set to be included is the Media Configuration Tool (MCT)*, enabling customization of the media in both the driver and printer. Additionally, MCT can make adjustments such as print head height and vacuum strength for each media, offering the flexibility needed in order to help achieve optimal quality across a broad range of media options. Accounting Manager* is set to be included for those looking to keep track of consumable costs such as ink and media, allowing users to manually enter in their costs in order to help determine their overall printing expenses. Whether it is an individual printing in their studio, or an administrator looking to centrally manage a number of users in a multi-unit networked environment, this tool can help you keep track of printing expenses. Device Management Console* is an administrative tool which provides users with the means to manage multiple PRO-1000 printers by helping users monitor activity such as error messages and printer information such as the execution status of calibrations. The current EOS-1D X camera has been my pick as the best full frame DSLR camera for sports and wildlife photography three years in a row. According to the latest information I have received, the long awaited EOS-1D X Mark II model will MOST probably be equipped with 4K video. That indicates to me Canon feels Nikon will definitely include 4K video in their soon to be announced D5 camera. If Canon decides to include this feature, I feel it may be a mistake because it can distract from the raison d'etre of the camera, namely to be the best DSLR camera on the market for still photography. Canon should not be pressured to add this feature just because Nikon feels it must match the Sony A7R II's features. Canon already experimented with the EOS-1D C camera, basically an EOS-1D X body, combined with enhanced video capabilities. The camera met with very limited success, especially when there are camcorders like the CinemaEOS C300 Mk II that can do a much better job at shooting videos. Canon marked down the price of the EOS-1D C and I expect them to discontinue this model some time in 2016. You know the time for the replacement camera is near. I have seen new EOS-1D X selling for just a little over $4,000 on eBay and rumored specs are coming out of the wood works. The Autumn Silly Season has begun. Some even claim the new camera will come with WiFi and GPS, 61 AF points with all crosstype and f/8, plus even touch screen LCD. One should pay little attention to wish lists and wild guesses. Canon is doing a great job plugging most of the leaks for this eagerly awaited camera. It will be almost 4 years since the EOS-1D X was announced. My best estimate is the EOS-1D X Mark II will come with a new sensor in the low 20MP range, powered by new Digic 6+ processors and additional processor(s) for metering and other functions. A new AF system and frame rates matching the current model but perhaps without mirror lockup and a state of the art LCD monitor. Oh yes, 'sadly and most probably', with 4K video capability. My expectation is for Nikon to release their D5 camera first, followed by Canon. 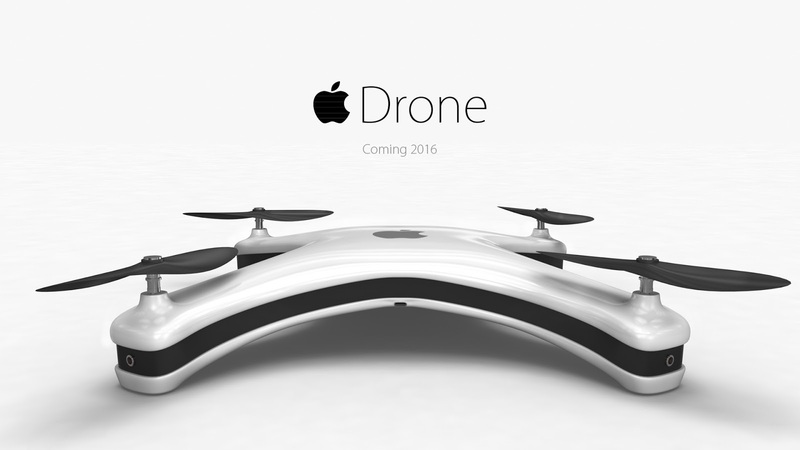 The announcement may come in Q1 2016, with delivery commencing late Q1 to Q2 of 2016. If Canon keeps to this time frame for the EOS-1D X II announcement, I would expect the EOS-5D Mk IV release to be a Q2 to Q3, 2016 event. Keep checking back for the latest news and developments. The Obama administration said on Monday that it would require drone owners to register their unmanned aircraft as part of an effort to curtail rogue drone flights that pose a danger to commercial aircraft and crowded public venues. U.S. Transportation Secretary Anthony Foxx announced the creation of a task force of private sector and government representatives to craft recommendations for establishing the first ever federal drone registry. The recommendations are due by Nov. 20, and administration officials hope to have the registry in place before Christmas, when they say that more than 1 million new drones could be given as gifts to new untrained operators. The registration requirements would also apply to drones already in use. The initiative represents the administration's effort to address the rising number of unauthorized drone sightings near airports and crowded public venues. The FAA has reported more than 650 unauthorized drone sightings so far this year, as of Aug. 9, compared with 238 for all of 2014. If sightings continue at that rate, the number would near 1,100 by the year end. "The signal we're sending today is that when you enter the national air space, it's a very serious matter," Foxx said. As part of a parallel effort, the Federal Aviation Administration is also working with other agencies to develop systems that can identify and track drones or keep them away from vulnerable sites. Drone industry representatives welcomed the notion of having a mechanism to promote accountability, but questioned whether a new registry could be in place in such a short timeframe and said the government's authority to compel participation remained unclear. Officials said the FAA has authority to impose registration under aviation safety laws. "It’s going to be a very difficult task to do by Nov 20. But the best course of action is to look at this and say, let’s do the best we can," said Michael Drobac, executive director of the Small UAV Coalition, one of two drone industry group on the task force. Other task force members represent airline pilots, airport officials, hobbyists and the consumer electronics market. Foxx said the registration effort would not delay the FAA's goal of publishing rules for commercial drone use by next June. 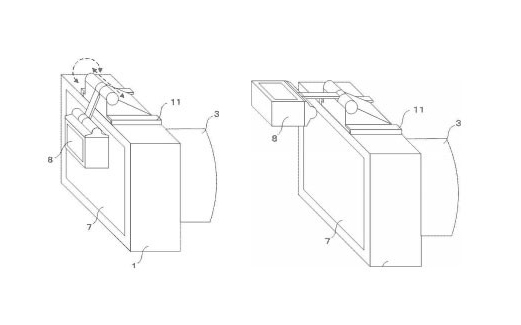 Egami, the Japanese photography website has discovered a new Canon patent for an Electronic Viewfinder. While Google translated material is hardly perfect, it seems if the eyepiece is displayed on the LCD screen, it works like a normal viewfinder. When the eyepiece is off the screen, it reverts back to a full screen LCD. No mention about the resolution of the viewfinder and it may be sold as an accessory option to a lower priced camera model. The new Milvus line will be primarily fast prime lens, from 21mm to 100mm, with speeds of f/1.4 to f/2.8. 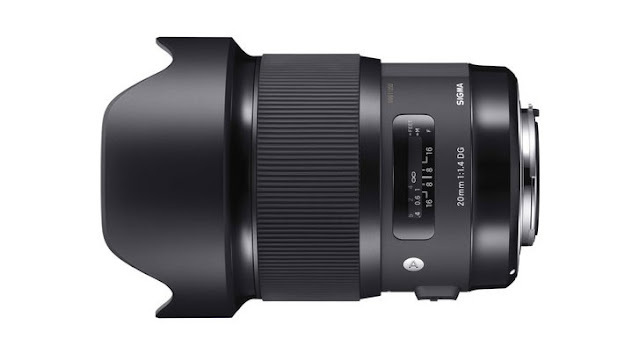 Sigma has come out with a fine line of Art prime and short zoom lens in the last couple of years. Their standout 50mm f/1.4 DG HSM Art lens is especially a great value and has given the Zeiss Otus 55mm f/1.4 some real competition for a fraction of the price. Below is a video from DigitalRev testing the Milvus 50mm and 100mm lens. I am hoping Canon will step up to the challenge and announce replacement to the EF 50mm f/1.4, EF 50mm f/1.2L and EF 24-105mm f/4L lens soon. Using Canon’s EF mount, the camera is fully compatible with Canon’s EF line of lenses, including the CN-E lenses with electronic communication. Using the built-in crop mode, the camera is also compatible with EF-S lenses and Canon’s Cine Servo zoom lenses, which can be controlled through the camera, as well. 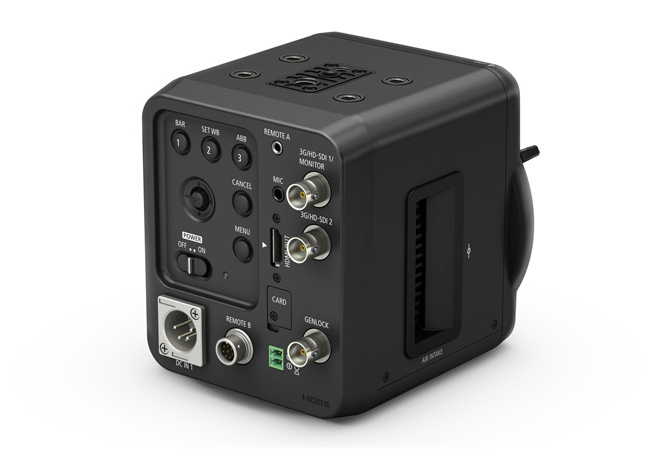 The camera does not record video internally; rather, it sends 1080p video at up to 60 fps out from its 3G-SDI and HDMI terminals. One SDI terminal and the HDMI terminal can be programmed to include OSD (onscreen display) information for camera operation. The camera settings can be adjusted using the on-camera controls or via a remote control connected with the 2.5mm jack or the RS-422 terminal. 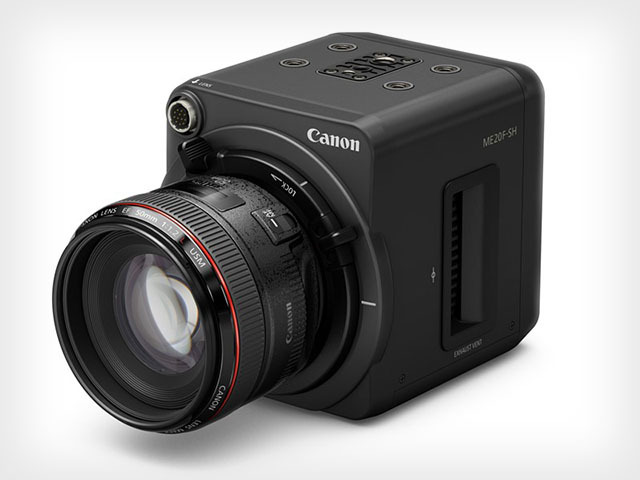 You can see a HD video of the camera in action from Canon Japan. This is an amazing video to watch. The camera retails for about $19,999 in the United States and some dealers are taking pre-orders now. I am very interested in this camera for my wildlife photography photo shoots but need to investigate it further once it is available. 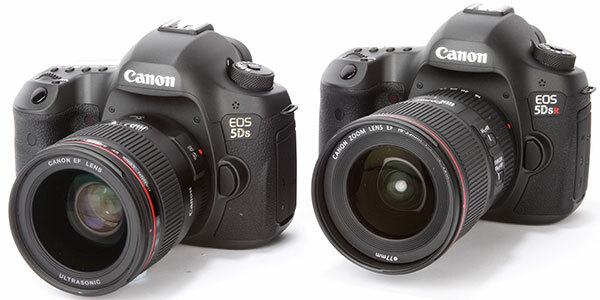 The Canon EOS-5Ds and EOS-5DsR cameras are widely available now. DxOMark recently came out with their sensor score on the camera. I have written posts comparing them to the Nikon D810, Sony a7R II and EOS-5D Mk III for those who are contemplating buying either camera or upgrading to one. There is a top-rated merchant on eBay selling the Canon EOS-5Ds camera for $2,649 and EOS-5DsR for $3,049 including free shipping. The list price is $3,699 and $3,899 respectively. If you are interested in buying one, don't delay too much longer. Canon recently put out a list of recommended lens with this camera. Neither cameras is a good choice for wildlife photography, in my opinion. 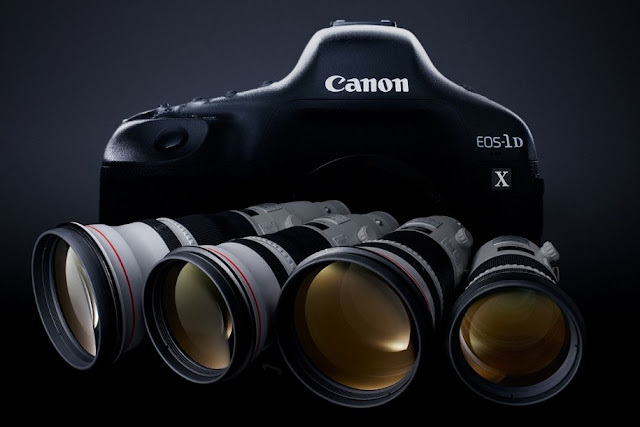 I am waiting for the EOS-1D X Mk II and EOS-5D Mk IV to debut later this year or early next year for my next DSLR purchase. You will not find a link to these eBay items because I do not accept any advertisement or commissioned link on my Blog or website. I am completely unbiased in my recommendation and have no conflict of interest. You can find the listings on eBay easily yourself. 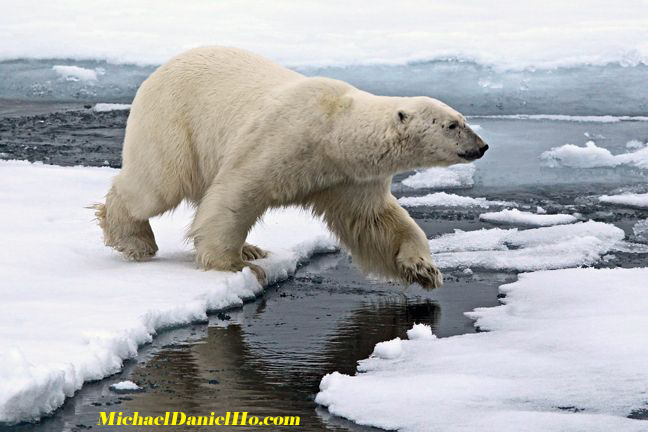 Visit MichaelDanielHo.com to see my wildlife photography works. Canon is addressing the issue regarding the phenomenon of Skipped Frames in footage recorded in Slow Motion on some EOS C300 Mark II Cinema Cameras. For a Canon USA White Paper on this camcorder, click here. 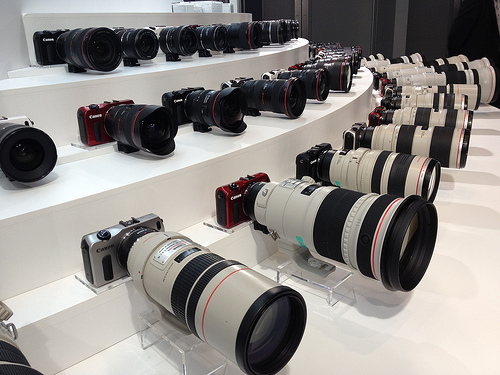 Thank you for using Canon products. We have become aware that there may be cases of skipped frames in footage recorded in slow motion on the EOS C300 Mark II Digital Cinema Camera. Customer support for this phenomenon is described below. We would like to offer our sincere apologies to users for the inconvenience caused by this phenomenon. Going forward, we will spare no effort in our quality management to make sure our customers can use our products with confidence. Except as provided below, footage recorded in slow motion in Slow & Fast Motion Recording Mode, in 4K and 2K/HD, and at all frame rates, may have skipped frames. This phenomenon does not occur for slow motion recording at the following settings: 2K/HD recording at 59.94P & 50.00P frame rates. EOS C300 Mark II Digital Cinema Camera. Cameras with firmware version 1.0.0.1.00 are affected. The camera’s firmware version can be checked from [System Setup] on the menu. Press the MENU button, then select [System Setup] > [Firmware] > [Camera]. We are planning to release new firmware that incorporates a fix for this phenomenon in early November. Once the new firmware is ready, we will make an announcement on our website. If you wish to use the slow motion recording function before that time, please contact the Canon Service Center. 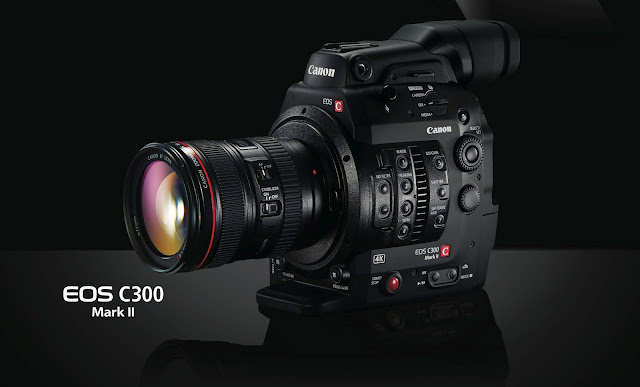 If you have not already done so, please register your Canon C300 Mark II Digital Cinema Camera. By registering, we will be able to notify you via email about future service upgrades. 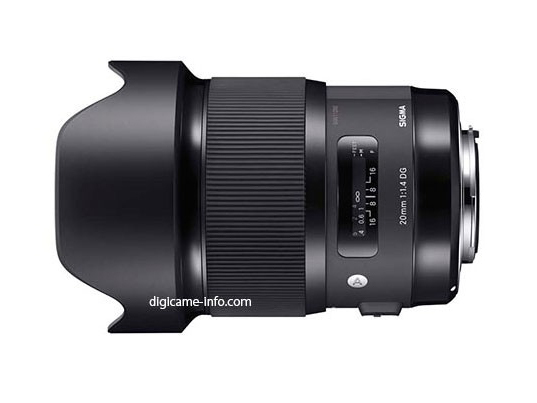 Sigma is about to announce their new 20mm f/1.4 DG Art lens. This company has been releasing some very nice, high quality lens at an attractive price in their Art series, like the 24-35mm f/2, 50mm f/1.4 and the 24mm f/1.4 lens. They are certainly giving Zeiss a run for their money. 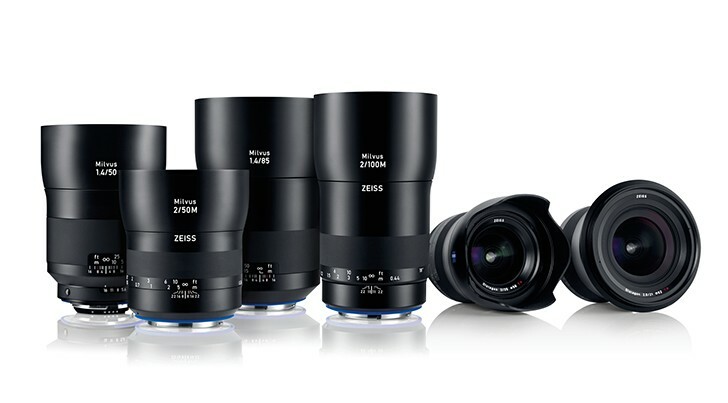 No wonder, Zeiss had to release a 'lower priced' Milvus line to compete with Sigma. 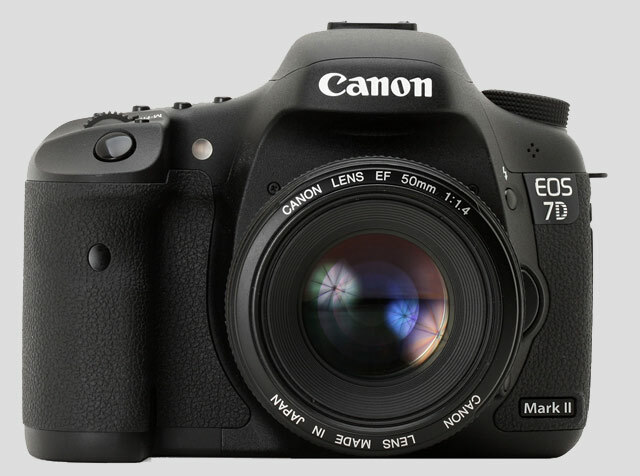 There is a top-rated merchant on eBay selling the Canon EOS-7D Mark II camera for $1,099 including free shipping. The list price in the USA is $1,799. If you are interested in buying one, don't delay too much longer. My readers know I have picked its predecessor and now this camera to be the best APS-C body for wildlife photography four years in a row. I have taken this camera all around the globe on photo shoots, from the high Arctic to the Southern Ocean. Read my comprehensive review of the camera and learn the tips and tricks on how to master this best value DSLR camera. See how this camera compares to the Nikon D7100. You will not find a link to this eBay item because I do not accept any advertisement or commissioned link on my Blog or website. I am completely unbiased in my recommendation and have no conflict of interest. You can find the listing on eBay easily yourself.